The Archetype composition project involves a series of what I like to think of as schematic scores for the building of more standard scores. 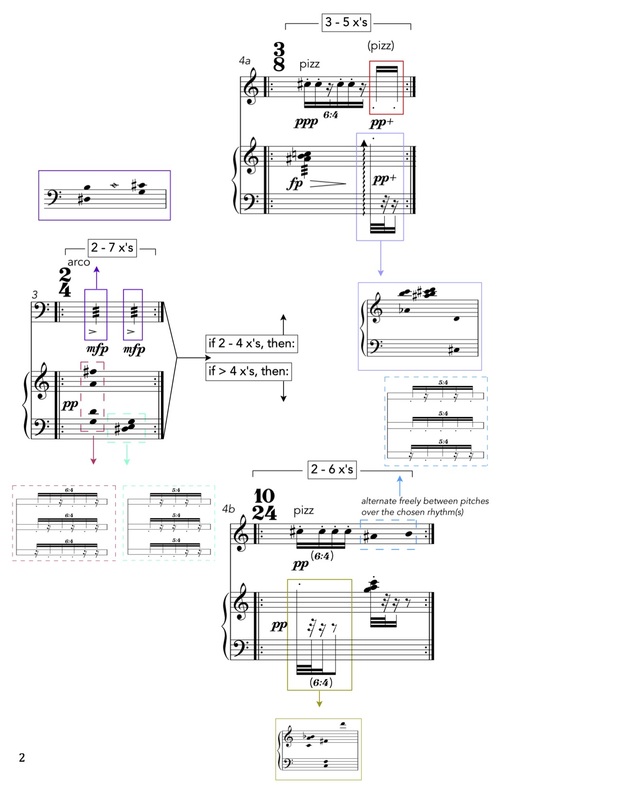 Each archetype involves repeating modules of bars in which the numbers of repetitions and some of the pitch, rhythm, timbral and dynamic material is left open. The modules provide a limited set of choices that are to be determined beforehand by the performer(s) or the composer or anyone else who is agreed by the performers to have an interest in doing so. 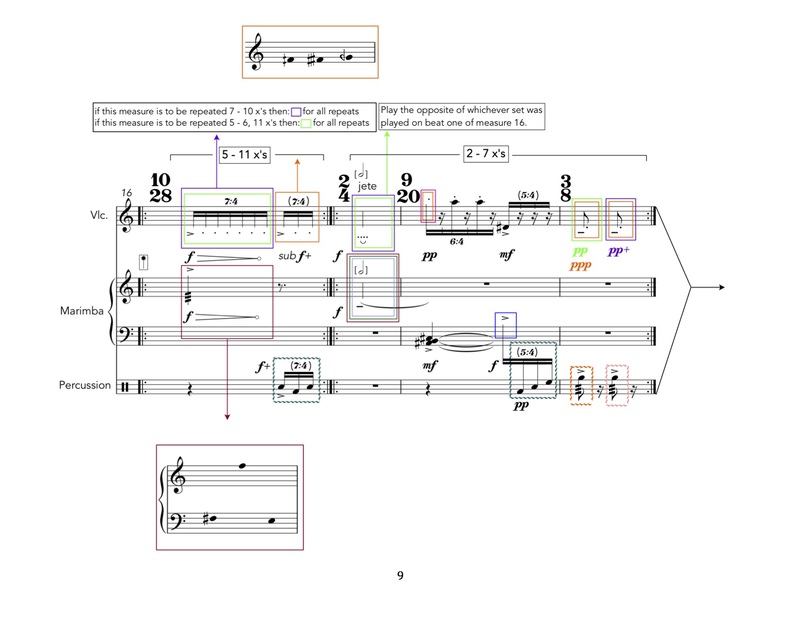 The predetermined materials are to be sketched out such that a new score is composed as an “iteration” of the archetype that then becomes a new, notated composition in itself. For example, the first performance of the original archetype would be considered Archetype I: Iteration I; a second performance of the archetype, with new choices on numbers of repetitions and the like would be considered Archetype I: Iteration II. 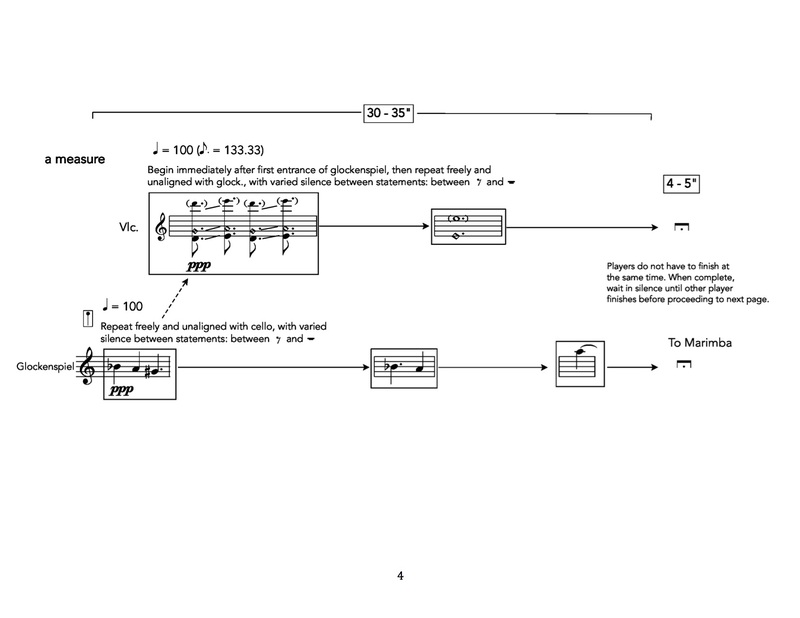 These iterations may, themselves, have open elements built into the score (by the composer) such that a new, recursive statement of that iteration becomes a new score, and so on. For example, if a performance of Archetype I: Iteration I is transcribed and composed out (with new open elements built in) for new performance, then that composition would be considered Archetype I: Iteration I: Statement I, and so on). Any or all performers are invited to be involved in the composing of the new score either with or without the involvement of the composer himself. In short, a body of works based on a single Archetype would consist of a number of different Iterations of that Archetype and of a number of different Statements of each of the Iterations. The purpose of the layout of the archetype is two-fold. First, the collaborative element between composer and performer becomes intimate and crucial for the realization of subsequent Iterations (and possible Statements thereof). The performer becomes a collaborative composer. Secondly, I have been very interested in building relatable compositions that are recursive, in which successive results of procedures create a body of works that have a very similar sound to them but in which the detail, the minutiae of pitch and rhythm, may vary somewhat or, in some cases, quite drastically with the given restraints.